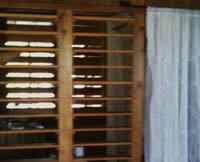 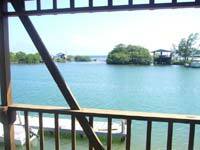 This apartment has a great covered deck with hammock, view of the harbour and the ocean, and a back porch next to B.J.s Backyard, Oak Ridge's favorite restaurant, bar, and meeting place. 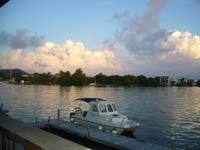 Dive trips, fishing, and mangrove tours available for pickup at our dock. 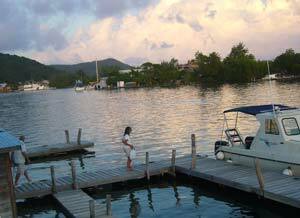 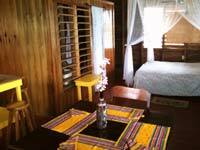 Located in the heart of Oak Ridge -- a truly unique way to experience the beautiful village of Oakridge and Roatan's east end. 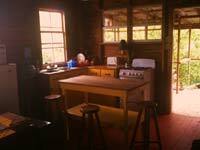 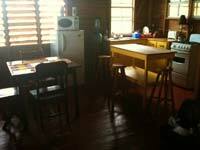 Kitchen equipped with appliances, dishes, etc.